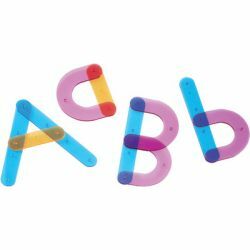 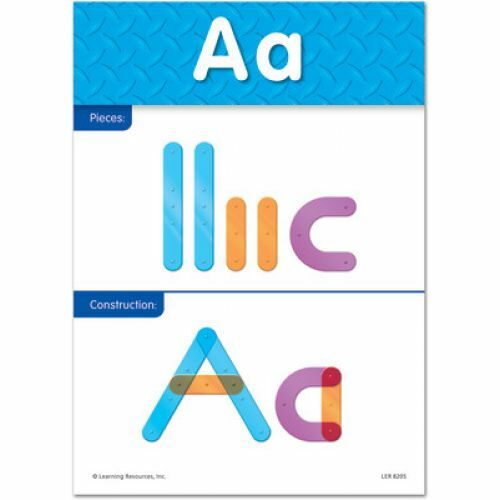 Building letters is a snap with the Letter Construction Activity Set. Snap together color-coded pieces to build uppercase and lowercase letters plus fine motor skills. 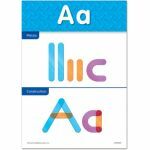 Practice letter recognition and pre-handwriting too! 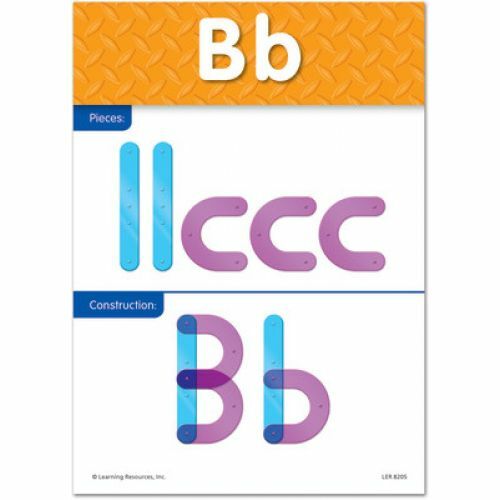 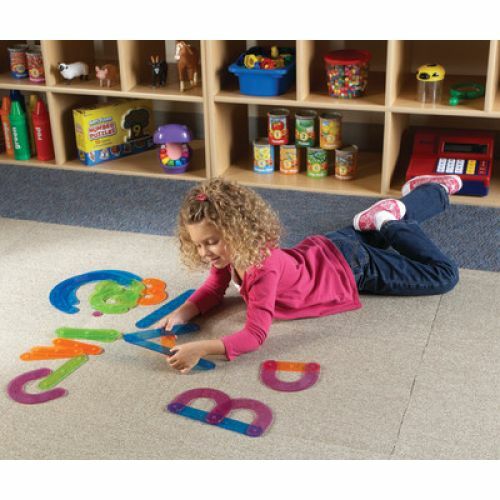 With 60 pieces in all (including straight lines, curves, C-curves, hooks, and dots), children can build accurate upper- and lowercase letters in just a few steps. 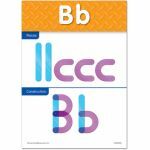 Largest piece measures 1.5"L x 10"H.
Great for practicing letter recognition and building a sturdy foundation for pre-writing.